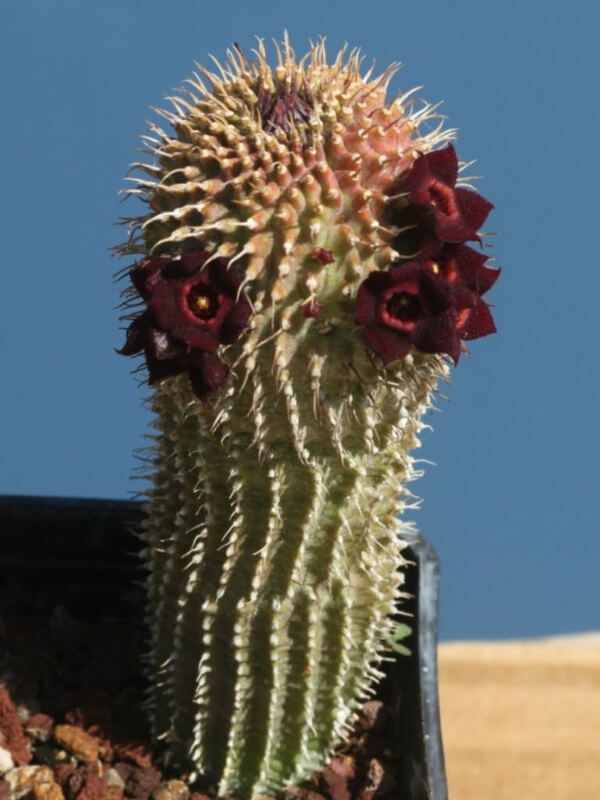 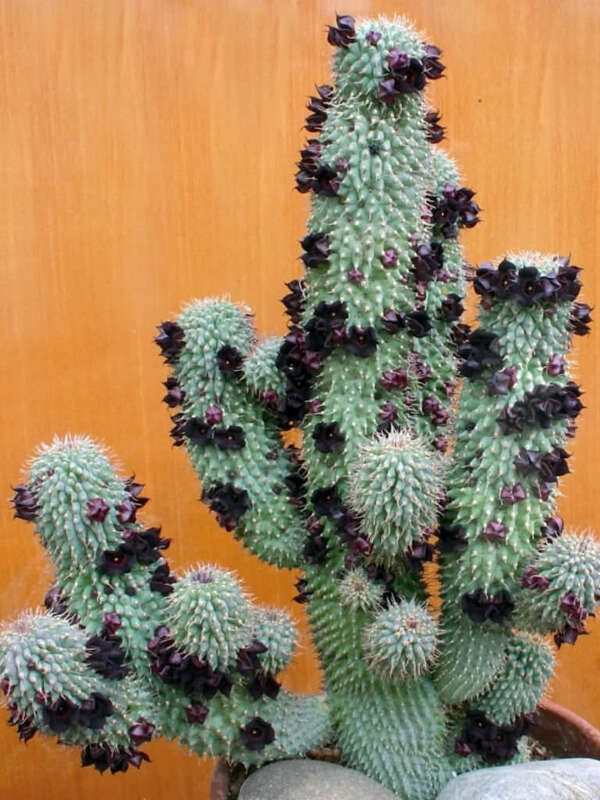 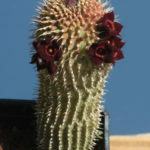 Hoodia pilifera is a leafless succulent, up to 32 inches (80 cm) tall, with fleshy, ribbed and thorny stems. 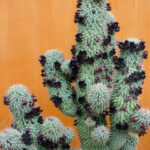 They are cylindrical, up to 2.4 inches (6 cm) in diameter, dark green to pale grey green, sometimes with a purple hues. 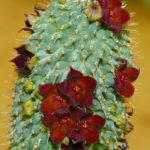 The flowers dark purple to almost black or pinkish brown inside, reddish green outside and appear from mid to late summer. 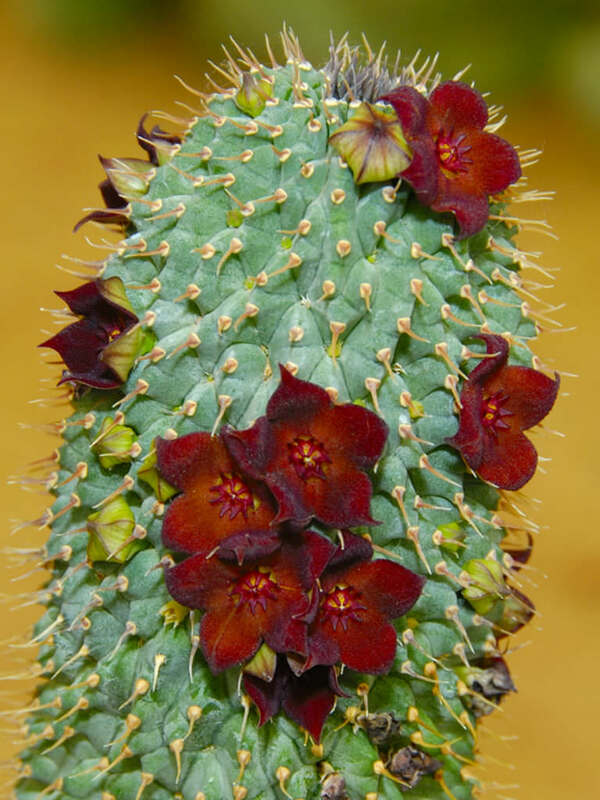 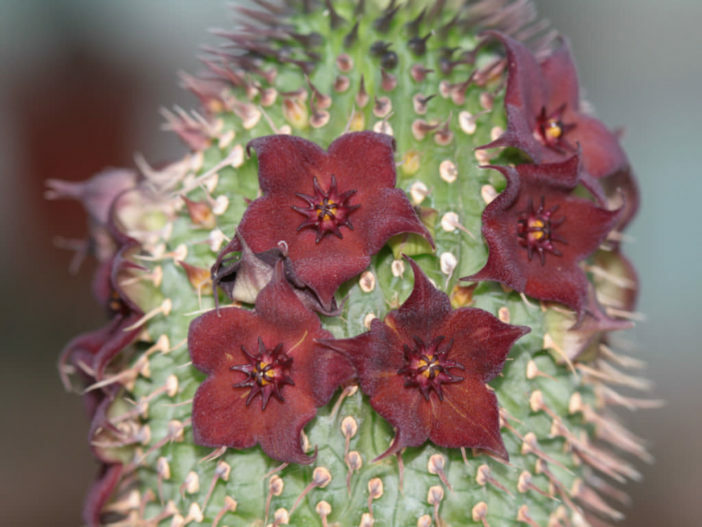 Hoodia pilifera is native to South Africa (Eastern Cape, Western Cape).